March 10, 2016 by Ecommerce News. About Statistics with tags Denmark, Finland, Norway, Sweden. 10989 views. In terms of spending money online at foreign websites, it seems that the United Kingdom, Germany, the United Stated and China were the most popular countries to buy from. “The domestic market’s relative maturity is what drives international commerce. The Swedish range has been good. 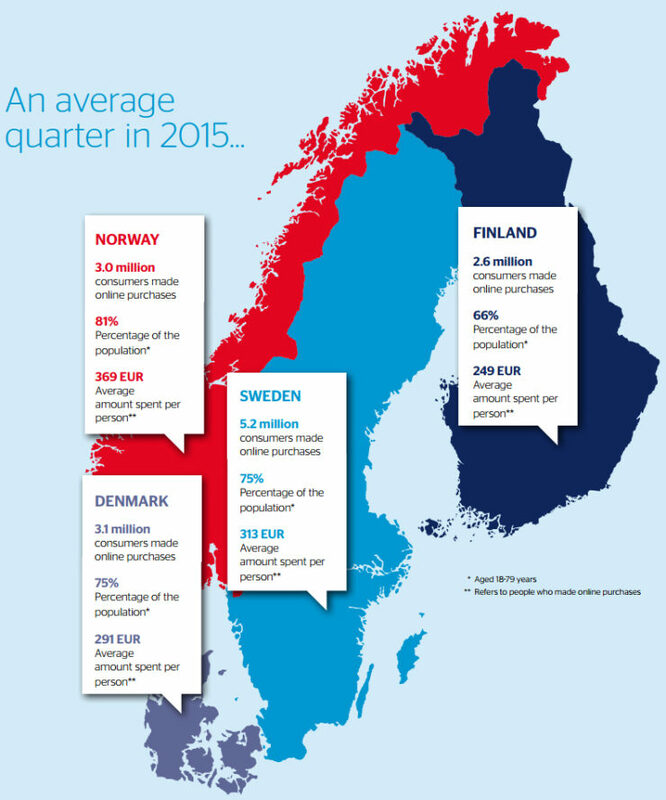 Finland’s, Norway’s, and Denmark’s domestic alternatives haven’t been as good, which has made local consumers more eager to buy online from foreign retailers”, explains Arne Andersson, Nordic ecommerce specialist at PostNord. 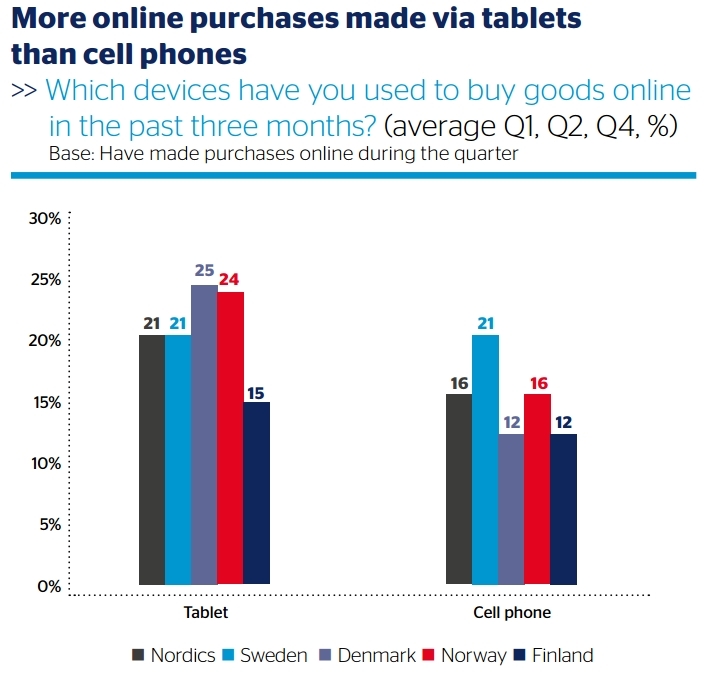 Nordic consumers shop online specifically because they can shop when it suits them, it’s cheaper, there is a larger and better selection, it saves them time and it’s just more convenient. 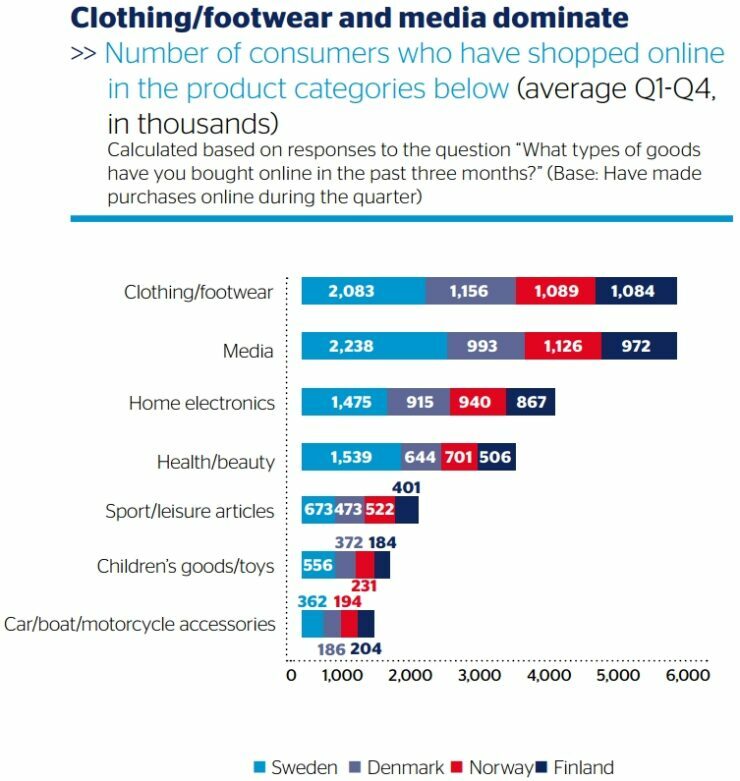 The most popular product categories (based on the number of consumers who’ve bought online in these categories) are clothing & footwear, media, home electronics and health & beauty.